The new finding has potential implications for the development of immunity-based therapies to treat tuberculosis, which typically takes months to eradicate and has become increasingly resistant to antibiotics. An enzyme that acts as a sensor in the immune system – cyclic GMP-AMP synthase (cGAS) – is essential for defense against the tuberculosis bacteria, the study showed. When infected with TB, mice lacking this enzyme succumbed much quicker than mice with normal cGAS activity. “Based on this outcome, we believe that modulating cGAS activity could be a novel approach to therapy. 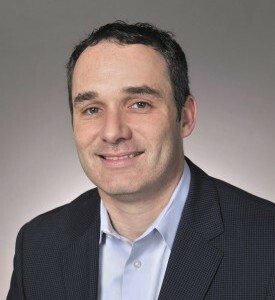 There remains a dire need for new therapies against tuberculosis, and thus identifying pathways to stop the pathogen is of vital importance,” said Dr. Michael Shiloh, Assistant Professor of Internal Medicine and Microbiology at UT Southwestern, and co-senior author of the study published in Cell Host & Microbe. TB is a bacterial infection with widespread global reach. About one-third of the world’s population is infected with the bacterium, though most infected people have no symptoms and may not know they have it. Tuberculosis is the No. 1 cause of bacteria-related death and also the leading cause of death for people infected with HIV. TB is spread by airborne personal contact with an infected individual. While TB is prevalent in underdeveloped countries, about 12,000 to 15,000 new cases arise in the U.S. annually, mainly in people who are immigrants from counties where TB is more endemic. Working with Dr. Shiloh on the study as co-senior author was Dr. Zhijian “James” Chen, Howard Hughes Medical Institute (HHMI) Investigator, and Professor of Molecular Biology and with the Center for the Genetics of Host Defense. Dr. Chen discovered the cGAS enzyme in 2012 and how it orchestrates immune responses to DNA. 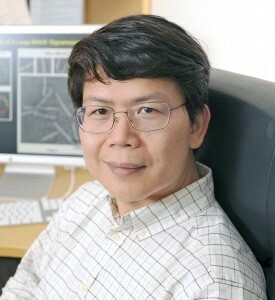 “The finding that the cGAS pathway is important for sensing and defending against TB infection suggests that this pathway may be harnessed to develop better vaccines and therapeutics to protect people from this dreaded disease,” said Dr. Chen, who holds the George L. MacGregor Distinguished Chair in Biomedical Science. The study showed that when tuberculosis is detected by cGAS, a compound called cyclic GMP-AMP (cGAMP) is produced. cGAMP then initiates a cell signaling cascade that triggers production of interferons and cytokines and activation of autophagy, an important host-defense mechanism. Thus, cGAMP could possibly be leveraged as a biomarker for active disease and therapy response, and could be used as an adjuvant for developing an effective TB vaccine or therapy. This work and two similar studies also reported in Cell Host & Microbe point to cGAS as having strong potential for immunity-based therapeutics to combat TB, and potentially other infectious diseases. With TB in particular, new treatments are desperately needed. “Tuberculosis is already a significant global pandemic and the threat of multidrug resistance is high. If drug-resistant TB were to spread more internationally, then TB could become a real public health disaster,” Dr. Shiloh said. Co-lead authors of the paper were Angela Collins, a senior student in UT Southwestern’s Medical Scientist Training Program; Haocheng Cai, an Immunology graduate student; and Dr. Tuo Li, a postdoctoral fellow in Molecular Biology. Other contributing authors from UT Southwestern were Dr. Beth Levine, Professor of Internal Medicine and Microbiology, HHMI Investigator, Director of the Center for Autophagy Research, and holder of the Charles Cameron Sprague Distinguished Chair in Biomedical Science; Dr. Xiao-Dong Li, former Instructor in Molecular Biology; Dr. Luis Franco, Dr. Vidhya Nair, and Dr. Caitlyn Scharn, postdoctoral researchers in Internal Medicine; and Chelsea Stamm, a student research assistant in the Molecular Microbiology program. The research was funded by the National Institutes of Health, the Cancer Prevention and Research Institute of Texas, and the HHMI. In addition, Dr. Shiloh is a scholar in UT Southwestern’s Disease-Oriented Clinical Scholars Program, which supports his studies in TB pathogenesis and immunity responses to infectious diseases.